Machine Tool Indonesia is the Indonesian International Showcase for manufacturing industry. Manufacturing Indonesia is the established, international meeting place for the region’s industrialists to see and compare the latest manufacturing technology from around the world. 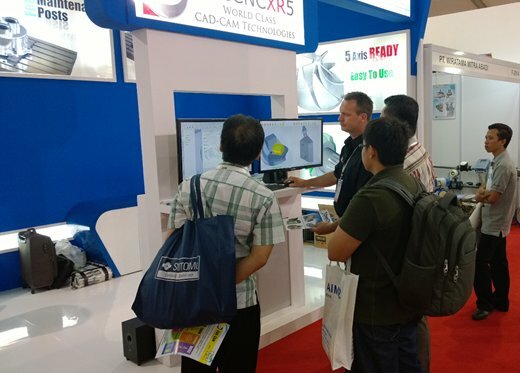 The event attracted 1,685 exhibiting companies from 36 countries and regions and was visited by more than 31,000 industry professionals from throughout Indonesia and South East Asia. 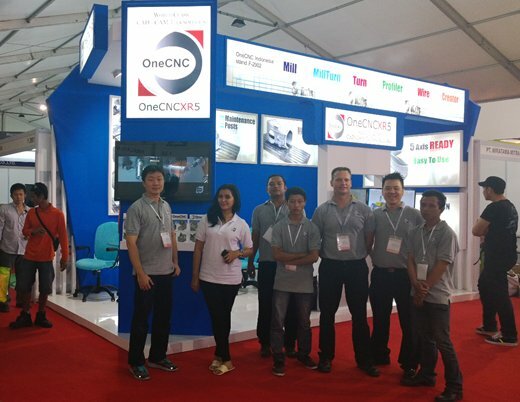 OneCNC Indonesia had a very complete exhibition of all the OneCNC solutions and application staff from Indonesia as well as from OneCNC in Australia were in attendance to assist with demonstrations. OneCNC Indonesia would welcome the opportunity to demonstrate the products to customers in Indonesia either online or depending on location on-site as well. OneCNC Deutschland exhibited at the EuroMold 2013 December 3 to 6 Frankfurt Germany. 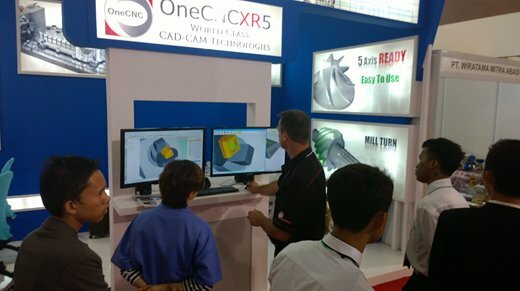 This was the tenth year in a row that OneCNC has exhibited at this prestigious engineering mold event. OneCNC Deutschland created a new display stand for this event for the tenth anniversary of exhibiting. EuroMold in its anniversary year opened at the Messe Frankfurt exhibition centre and offered numerous highlights for visitors. The trade fair presented state-of-the-art products, served as a platform for networking within the industry. A large number of national and international decision-makers were in attendance. 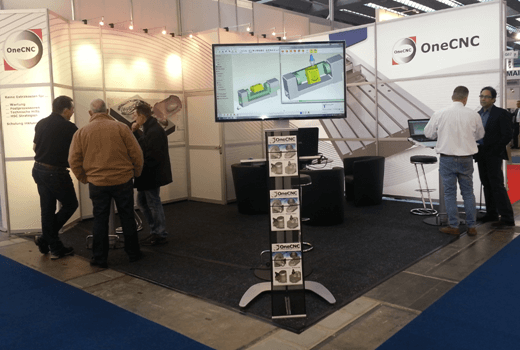 The number of exhibitors was slightly higher than last year at 1,056 and again presented OneCNC a good opportunity to display the latest releases of OneCNC to existing customers ans we as demonstrating the products to prospective customers. OneCNC Deutschland offers on-site training as well as on-line training and support for all customers in Germany. If you did not have time to visit the fair and would like to evaluate the OneCNC product contact OneCNC Deutschland.